The E categories are designated for aliens engaged in international trade or investment between the United States (U.S.) and the aliens' countries of nationality, provided the U.S. has an appropriate treaty relationship with the foreign country. A treaty country is a foreign state with which a qualifying Treaty of Friendship, Commerce, or Navigation or its equivalent exists with the U.S. A Treaty Country includes a foreign state that is accorded treaty visa privileges. You should be coming to the U.S. to carry on substantial trade, or to develop and direct the operations of a business in which you have invested or will soon invest a substantial amount of capital. You must also be a national of a treaty country and you must be involved in international trade. Your spouse and children may join you under the same status. Your employees, or the employees of your treaty company, may also receive E-1 visas. The trade is substantial; there should be a continuous flow of trade between the U.S. and the treaty country. I.e. sufficient to ensure the investor's financial commitment to the successful operation of the enterprise and big enough to support the likelihood that the investor will successfully direct and develop the enterprise. If the applicant is not the principal investor, he or she must be employed in an executive or supervisory capacity, or possess skills that are highly specialized and essential to the operations of the commercial enterprise. A letter from your employer detailing your position and stating that you possess highly specialized skills essential to the efficient operation of the firm.12. You intend to leave the U.S. after the validity date of the E-1 Visa. Note: There is no petitioning process for the E categories. E-nonimmigrant classification is granted through an application process. 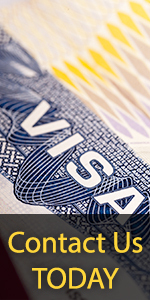 If outside of the U.S., the alien may apply for an E-1 visa on his or her own behalf directly to a U.S. consular office abroad http://usembassy.state.gov. If the alien is inside the U.S., the Form I-129 and E supplement is used to apply for a change of status, extension of stay, or change of employment. Applications for E-1 status may be filed only at the Texas or California Service Centers. However, if an alien currently in E-1 status is requesting a change of status to another nonimmigrant classification, the application for change of status must be mailed to one of the four USCIS Service Centers with jurisdiction over the new requested classification.